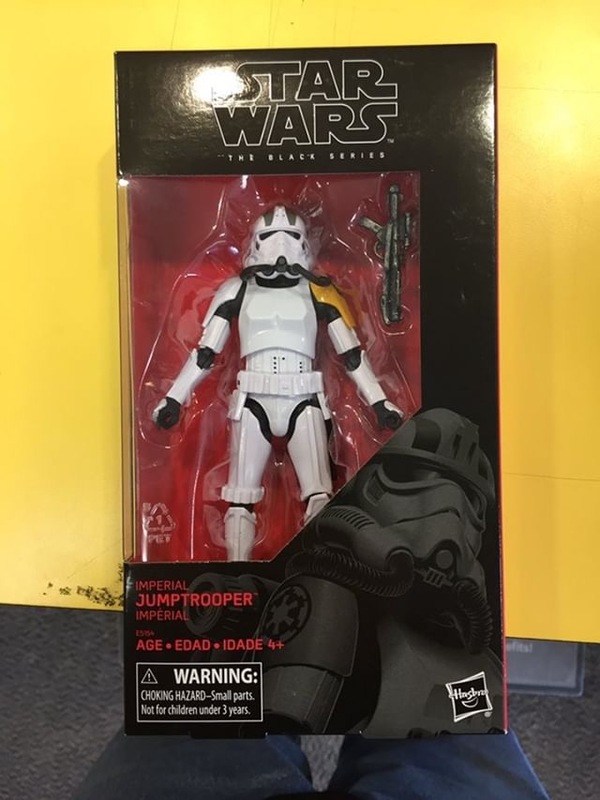 Instagram follower audiobeing sends word that EBGames in Burlington, Ontario has started to receive orders for the exclusive 6″ Black Series Imperial Jumptrooper. (US collectors are getting this distributed via GameStop later this year). 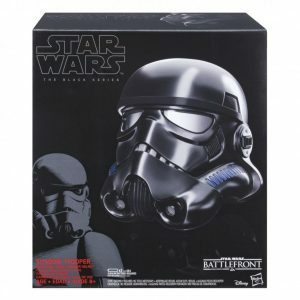 GameStop is also taking preorders for their exclusive Black Series Battle Front Shock Trooper Helmet. 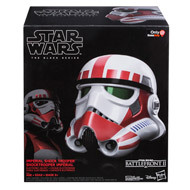 Retail price is $99.99 and ships starting on July 17. As promised, Hasbro has unveiled a few of their exclusives for Rogue Friday next week – two of which have leaked prematurely. Head on over to Yahoo to check out the 6″ Black Series Jyn Erso (Kmart), Imperial Hovertank Pilot (ToysRus), Cassian Andor Blaster Rifle (Target), Smart R2-D2 (Walmart) and the Black Series Battlefront Shadow Trooper Helmet (Amazon). 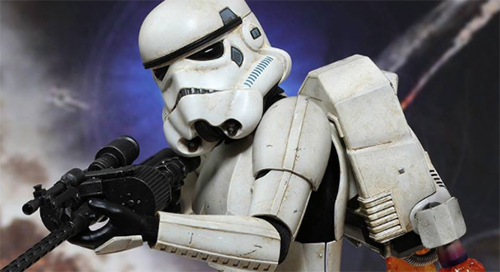 Sideshow is now taking preorders for the Hot Toys 1:6 Scale Battlefront Jumptrooper figure. Known to use the jump pack to gain high ground, the highly-accurate Jumptrooper Sixth Scale Collectible Figure features a finely crafted Jumptrooper armor and helmet with weathering effects, a magnetically-attached jetpack with life-like thruster fire accessores, detailed heavy blasters and scout blaster, and a specially designed sand-themed dynamic figure stand ideal of aerial poses. 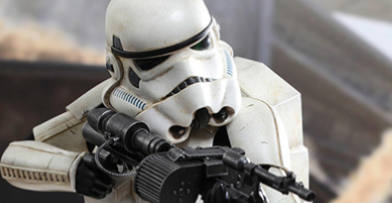 Sideshow Collectibles is now taking preorders for the Hot Toys 1:6 Scale Shock Trooper – the first figure from their Video Game Masterpiece series. 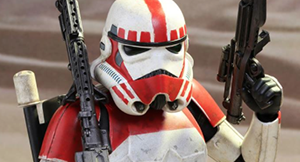 Hot Toys has announced the official details for their 1:6 scale Star Wars Battlefront Shock Trooper – their FIRST figure in the series based on the popular game. Click on through for the details.